Metaheuristics and intelligent computing, learning-based combinatorial optimization, constraint solving and constrained optimization, data mining and artificial intelligence, community detection and complex networks, timetabling and resource planning-scheduling, optimization in transportation-logistics and mobile networks, bioinformatics. Our work is about metaheuristics and nature-inspired intelligent search methods for solving large-scale complex combinatorial problems. We are especially interested in methods based on advanced neighborhood search, evolutionary computing and hybrid approaches using machine learning and data mining techniques. Graph coloring problems: vertex coloring, weighted vertex coloring, (set) T-coloring, bandwidth coloring, sum coloring and equitable coloring. Clique problems: maximum clique, maximum weight clique, maximum balanced bi-clique, maximum s-plex. We also work or worked on combinatorial problems encountered in other application domains such as Bioinformatics. In particular, we are developing heuristic algorithms for the following problems: biomakers identification and regulation networks, gene selection, classification and biclustering of microarray data and phylogeny reconstruction and maximum parsimony. Other research activities include multiobjective optimization, dynamic optimization and uncertain optimization by metaheuristics. Finally, we are interested in general purpose problem solvers based on heuristics, fundamental issues related to the design and understanding of the heuristic methods (landscapes, search space analysis, distribution of local optima...). 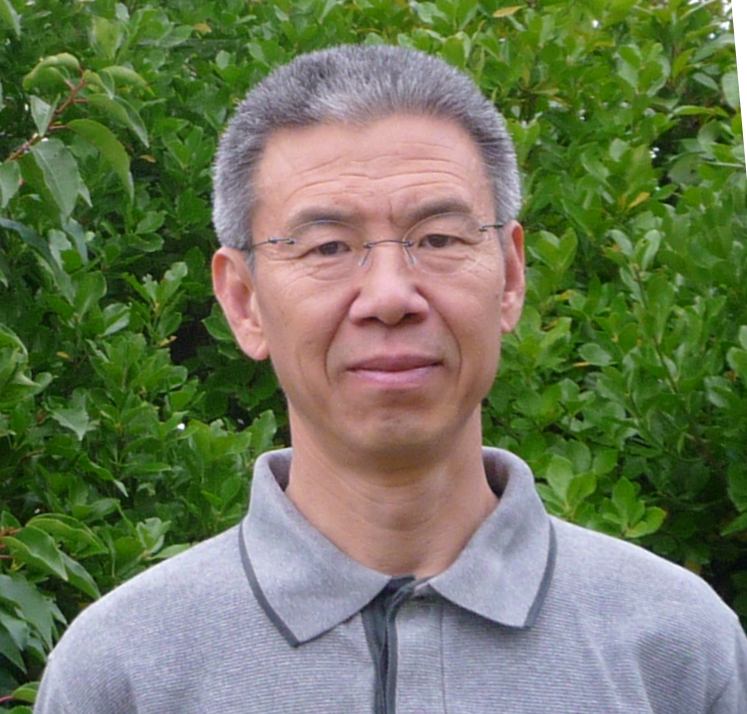 Jin-Kao Hao holds a full Professor position in the Department of Computer Science of the University of Angers (France) since 1999. He becomes Distinguished Professor (Professeur de classe exceptionnelle - PREX1 in 2010, nominated by the National Council of Universities - CNU 27, PREX2 since 2013). In 2015, he was nominated as Senior Fellow of the Institut Universitaire de France. He was the Director of the LERIA Laboratory (2003-2015) (Angers Computer Science Lab) and the founder of the research group "Metaheuristics, Optimization and Applications". Before joining the University of Angers, he has been an Associate Professor at the National Higher Engineering School "Ecole des Mines d'Ales" (EERIE Campus at Nîmes) and head of the "Constraints and Heuristics" research group until September 1999. He is the holder of the French National Research and Doctoral Supervision Bonus (PEDR) and the Research Excellence Bonus (PES). His research focuses on the design of effective methods for large-scale combinatorial search problems and practical applications. He is known for his contributions to the solution of significant NP-hard problems like graph coloring and sum coloring, maximum clique, combinatorial auctions, bandwidth and linear arrangement minimization, graph partitioning and clustering, vertex separator, MaxSAT, multiple-choice and multidimensional 0-1 knapsack problem, quadratic optimization, constraint satisfaction, Steiner and Spanning tree problems as well as various applications in the areas of bioinformatics, data mining, telecommunication networks and transportation, among others. His work has been featured in International Conferences (AE, CP, CPAIOR, ECAI, EvoBIO, EvoCOP, EMO, GECCO, IEEE CEC, ICTAI, IJCAI, MIC, PPSN) and Journals (Annals of Operations Research, Applied Mathematics and Computation, Applied Soft Computing, Artificial Intelligence Review, Asia-Pacific Journal of Operational Research, European Journal of Operational Research, Computers & Industrial Engineering, Computers & Operations Research, Discrete Applied Mathematics, 4OR, Mathematical Programming Computation, Engineering Applications of Artificial Intelligence, Expert Systems with Applications, Evolutionary Computation, IEEE Transactions on Evolutionary Computation, IEEE Transactions on Systems, Man, and Cybernetics: Systems, IEEE/ACM Transactions on Computational Biology and Bioinformatics, BioData Mining, Bioinformatics, BMC Bioinformatics, Briefings in Bioinformatics, Genomics Proteomics & Bioinformatics, Nucleic Acids Research, INFORMS Journal on Computing, Information Sciences, Journal of Combinatorial Optimization, Computational Optimization & Applications, J. of Heuristics, Intl. J. of Metaheuristics, Intl. J. of Applied Metaheuristic Computing, Intl. J. of Mathematics in Operational Research, J. of Mathematical Modelling and Algorithms, Intl J. of Mobile Network Design & Innovation, Knowledge-based Systems, Knowledge and Information Systems, Mathematical Programming Computation, Natural Computing and Applications, Neurocomputing, RAIRO Operations Research, Transportation Research). His work with his co-authors has been recognized by several awards (Engineering Applications of AI Best Paper Award 2017, 11th DIMACS Implementation Challenge on Steiner Tree Problems in 2014, Bronze Medal at the Nurse Rostering Competition 2010, Silver Medal at the PATAT-WATT 2007 International Timetabling Competition, EvoCOP 2009, MICAI 2006, PPSN 1996 best paper awards or nominees) and received multiple citations. His work includes more than 200 peer-reviewed publications in international journals, book chapters and conference proceedings in the fields of Metaheuristics, Evolutionary Computation, Combinatorial Optimization, Bioinformatics, Constraint Programming and Artificial Intelligence. He has supervised and worked on several real world applications including business relationship inference in the Internet, antenna positioning and frequency assignment for mobile radio networks, daily photograph scheduling of an earth observation satellite, integrated scheduling of vehicles and drivers, sports league scheduling, timetabling and nurse rostering. He has initiated a number of large R&D projects including an EC funded Esprit project (96-99) and French National Research Network RNRT project (1999-2002). He is involved in several internatinal collaboration programs, in particular with China, Canada, Mexico, Tunisia and USA. Dr. Hao has served as an Invited Member of more than 200 Program Committees of some 30 International and National Conferences and serves regularly as a reviewer for some 35 well-established Journals in his research domain. He served as Program co-chair or General chair for several international Conferences (in particular, IEEE BIBM 2014, Area Chair for ICTAI 2014 2013, 2011, 2010, PRIB 2013, EvoCOP 2012, EvoCOP 2011, AE 2011, 1997, EMO 2009). He is on the Editorial Board of several International Journals and participated in the organization of a number of Conferences and Workshops in addition to co-editing 9 volumes of Springer LNCS series. In his capacity as a Professor, he has supervised 37 defended PhD theses and 6 post-doc till 2018 and served on more than 140 PhD or Habilitation Examination Boards (in France and abroad). Dr. Hao has held or still holds a number of national responsabilities including Member of the National Council of Universities (CNU 27) nominated by the French Higher Education and Research Ministry, Panel Member of the Scientific Evaluation Committee CES 40 "Mathematics, Computer Science, Systems and Communications Engineering" and Panel Member of the SIMI 2 Board (Basic Research and International Joint Research) for the French National Research Agency ANR; Member of the National Jury for attibuting the "Research Excellence Bonus"; Invited Expert of proposal evaluation for research agencies (Eurostars-EUREKA, FNRS-Belgium, NSERC-Canada, CONICYT-Chile, CNSF-China, RGC-Hong Kong-China, ISF-Israel, CORE-Luxembourg, NCSTE-Kazakhstan, CNCS-Romania, SSF-Slovakia, SNF-Switzerland, EPSRC-UK etc); Member of the Jury for the French OR Society Roadef's "Robert Faure Prize"; Member of Regional Jury for the "5th National Challenge for Hi-Tech Company Creation" of the French Research and New Technology Ministry; Evaluation expert of French research Labs; External member of Searching Committee for several Universities. Jin-Kao Hao was born in Nov. 1961 in China. He graduated in 1982 from the National University of Defense Technology - NUDT (School of Computer Science) (China). He received his Master degree (Oct. 1987) from the National Institute of Applied Sciences (INSA Lyon, France), his Ph.D. in Constraint Programming (Feb. 1991) from the University of Franche-Comté, suppervised by Prof. Jean-Jacques Chabrier of the University of Burgundy (Dijon, France) and the Professorship Diploma HDR (Habilitation a Diriger des Recherches) (Jan. 1998) from the University of Science and Technology of Montpellier (France). Philippe Galinier, Jean-Philippe Hamiez, Jin-Kao Hao, Daniel Cosmin Porumbel. Recent advances in graph vertex coloring. In I. Zelinka, A. Abraham, V. Snasel (Eds.) Handbook of Optimization. 2012. Draft (pdf) Springer©. Oliver Bailleux and Jin-Kao Hao, Stochastic search algorithms (in French). In L. Sais (Ed. ), "Problem SAT: progresses and challenges", Chapter 5, Draft (pdf), Hermes, 2008. Alexandre Caminada, Jin-Kao Hao, Jean-Luc Lutton and Vincent Martin, Telecommunication networks. In G. Finke (Ed. ), Operational Research and Networks, Chapter 7, Wiley, 2008. Jean-Philippe Hamiez, Jin-Kao Hao, An analysis of solution properties of the graph coloring problem. Metaheuristics: Computer Decision-Making, Chapter 15, pp325-346, M.G.C. Resende and J.P. de Sousa (Eds. ), Kluwer, 2003. (postscript) (pdf). Alexandre Caminada, Jin-Kao Hao, Jean-Luc Lutton, Vincent Martin, Réseaux de télécommunications. In G. Finke (Ed.) Recherche Opérationnelle et Réseaux, traité IGAT, Chapitre 7, pp196-240, Hermes, 2002. Yan Jin and Jin-Kao Hao. Solving the Latin square completion problem by memetic graph coloring. Accepted to IEEE Transactions on Evolutionary Computation February 2019 (pdf, doi) IEEE CSP©. Yuning Chen and Jin-Kao Hao. Dynamic thresholding search for Minimum Vertex Cover in massive sparse graphs. Accepted to Engineering Applications of Artificial Intelligence March 2019 (pdf, doi) Elsevier©. Xiangjing Lai, Jin-Kao Hao, Fred Glover, Dong Yue. Intensification-driven tabu search for the minimum differential dispersion problem. Knowledge-Based Systems 167: 68-86, 2019 (pdf, doi) Elsevier©. Yi Zhou and Jin-Kao Hao. Tabu search with graph reduction for finding maximum balanced bicliques in bipartite graphs. Engineering Applications of Artificial Intelligence 77: 86-97, 2019 (pdf, doi) Elsevier©. Xiangjing Lai, Jin-Kao Hao, Dong Yue. Two-stage solution-based tabu search for the multidemand multidimensional knapsack problem. European Journal of Operational Research 274(1): 35-48, 2019 (pdf, doi) Elsevier©. Qing Zhou, Una Benlic, Qinghua Wu, Jin-Kao Hao. Heuristic search to the capacitated clustering problem. European Journal of Operational Research 273(2): 464-487, 2019 (pdf, doi) Elsevier©. Wen Sun, Jin-Kao Hao, Xiangjing Lai, Qinghua Wu. Adaptive feasible and infeasible tabu search for weighted vertex coloring. Information Sciences 466: 203-219, 2018 (pdf, doi) Elsevier©. Yi Zhou, André Rossi, Jin-Kao Hao. Towards effective exact algorithms for the maximum balanced biclique problem in bipartite graphs. European Journal of Operational Research 269(3): 834-843, 2018 (pdf, doi) Elsevier©. Wenyu Wang, Jin-Kao Hao, Qinghua Wu. Tabu search with feasible and infeasible searches for equitable coloring. Engineering Applications of Artificial Intelligence 71: 1-14, 2018 (pdf, doi) Elsevier©. Xiangjing Lai, Dong Yue, Jin-Kao Hao, Fred Glover. Solution-based tabu search for the maximum min-sum dispersion problem. Information Sciences 441: 79-94, 2018 (pdf, doi) Elsevier©. Yangming Zhou, Béatrice Duval, Jin-Kao Hao. Improving probability learning based local search for graph coloring. Applied Soft Computing 65: 542-553, 2018 (pdf, doi) Elsevier©. Xiangjing Lai, Jin-Kao Hao, Fred Glover, Zhipeng Lü. A two-phase tabu-evolutionary algorithm for the 0-1 multidimensional knapsack problem. Information Sciences 436-437: 282-301, 2018 (pdf, doi) Elsevier©. Yuning Chen and Jin-Kao Hao. Two phased hybrid local search for the periodic capacitated arc routing problem. European Journal of Operational Research 264(1): 55-65, 2018 (pdf, doi) Elsevier©. Qinghua Wu, Qing Zhou, Yan Jin, Jin-Kao Hao. Minimum sum coloring for large graphs with extraction and backward expansion search. Applied Soft Computing 62: 1056-1065, 2018 (pdf, doi) Elsevier©. Yangming Zhou, Jin-Kao Hao, Béatrice Duval. Opposition-based memetic search for the maximum diversity problem. IEEE Transactions on Evolutionary Computation 21(5): 731-745, 2017 (pdf, doi) IEEE CSP©. Zhanghua Fu and Jin-Kao Hao. Knowledge guided local search for the Prize-collecting Steiner Tree Problem in Graphs. Knowledge-Based Systems 128: 78-92, 2017 (pdf, doi) Elsevier©. Fuda Ma, Yang Wang, Jin-Kao Hao. Path relinking algorithm for the vertex separator problem. Expert Systems with Applications 82: 332-343, 2017 (pdf, doi) Elsevier©. Fuda Ma and Jin-Kao Hao. A multiple search operator heuristic for the max-k-cut problem. Annals of Operations Research 248(1-2): 365-403, 2017 (pdf, doi) Springer©. Yan Jin, Jean-Phiilippe Hamiez, Jin-Kao Hao. Algorithms for the minimum sum coloring problem: a review. Artificial Intelligence Review 47(3): 367-394, 2017 (pdf, doi) Springer©. Brahim Chabane, Matthieu Basseur, Jin-Kao Hao. R2-IBMOLS applied to a practical case of the multiobjective knapsack problem. Expert Systems with Applications 71:457-468, 2017 (pdf, doi) Elsevier©. Yuning Chen and Jin-Kao Hao. Memetic search for the generalized quadratic multiple knapsack problem. IEEE Transactions on Evolutionary Computation 20(6): 908-923, 2016 (pdf, doi) IEEE CSP©. Yangming Zhou, Jin-Kao Hao, Béatrice Duval. Reinforcement learning based local search for grouping problems: A case study on graph coloring. Expert Systems with Applications 64:412-422, 2016 (pdf, doi) Elsevier©. Yuning Chen, Jin-Kao Hao, Fred Glover. A hybrid metaheuristic approach for the capacitated arc routing problem. European Journal of Operational Research 253(1): 25-39, 2016 (pdf, doi) Elsevier©. Yuning Chen and Jin-Kao Hao. The bi-objective quadratic multiple knapsack problem: model and heuristics. Knowledge-Based Systems 97: 89-100, 2016 (pdf, doi) Elsevier©. Yuning Chen, Jin-Kao Hao, Fred Glover. An evolutionary path relinking approach for the quadratic multiple knapsack problem. Knowledge-Based Systems 92: 23-34, 2016 (pdf, doi) Elsevier©. Yan Jin and Jin-Kao Hao. Hybrid evolutionary search for the minimum sum coloring problem of graphs. Information Sciences 352-353: 15-34,.2016 (pdf, doi) Elsevier©. Qinghua Wu and Jin-Kao Hao. A clique-based exact method for optimal winner determination in combinatorial auctions. Information Sciences 334-335: 103-121, 2016 (pdf, doi) Elsevier©. Yang Wang, Jin-Kao Hao, Fred Glover, Zhipeng Lü, Qinghua Wu. Solving the maximum vertex weight clique problem via binary quadratic programming. Journal of Combinatorial Optimization 32(2): 531-549, 2016 (pdf, doi) Springer©. Zhanghua Fu and Jin-Kao Hao. A three-phase search approach for the quadratic minimum spanning tree problem. Engineering Applications of Artificial Intelligence 46: 113-130, 2015 (pdf, doi) Elsevier©. Ines Sghir, Jin-Kao Hao, Ines Ben Jaafar, Khaled Ghédira. A multi-agent based optimization method applied to the quadratic assignment problem. Expert Systems with Applications 42(23): 9252-9263, 2015 (pdf, doi) Elsevier©. Qinghua Wu and Jin-Kao Hao. A review of algorithms for maximum clique problems. European Journal of Operational Research 242(3): 693-709, 2015 (pdf, doi) Elsevier©. Yuning Chen and Jin-Kao Hao. Iterated responsive threshold search for the quadratic multiple knapsack problem. Annals of Operations Research 226(1): 101-131, 2015 (pdf, doi) Springer© (Program Code will be HERE). Xiangjing Lai and Jin-Kao Hao. Path relinking for the fixed spectrum frequency assignment problem. Expert Systems with Applications 42(10): 4755-4767, 2015 (pdf, doi) Elsevier©. (Program Code is HERE). Yan Jin and Jin-Kao Hao. General swap-based multiple neighborhood tabu search for the maximum independent set problem. Engineering Applications of Artificial Intelligence 37: 20-33, 2015 (pdf, doi) Elsevier©. (Program Code is HERE). Una Benlic and Jin-Kao Hao. Memetic search for the quadratic assignment problem. Expert Systems with Applications 42(1): 584-595, 2015. (pdf, doi) Elsevier©. (Program Code is available HERE). Qinghua Wu and Jin-Kao Hao. Solving the winner determination problem via a weighted maximum clique heuristic. Expert Systems with Applications 42(1): 355-365, 2015 (pdf, doi) Elsevier©. (Program Code and data files are HERE). Xiujun Zhang, Juan Zhao, Jin-Kao Hao, Xing-Ming Zhao, Lunan Chen. Conditional mutual inclusive information enables accurate quantification of associations in gene regulatory networks. Nucleic Acids Research 43(5):e31, 2015 (pdf, doi) Oxford Journals©. Wassim Ayadi and Jin-Kao Hao. A memetic algorithm for discovering negative correlation biclusters of DNA microarray data. Neurocomputing 145: 12-22, 2014 (pdf, doi) Elsevier©. Yuning Chen and Jin-Kao Hao. A "reduce and solve" approach for the multiple-choice multidimensional knapsack problem. European Journal of Operational Research 239(2): 313-322, 2014 (pdf, doi) Elsevier© (Program Code is HERE). Yan Jin, Jin-Kao Hao, Jean-Philippe Hamiez. A memetic algorithm for the minimum sum coloring problem. Computers & Operations Research 43(3): 318-327, 2014. (pdf, doi) Elsevier©. Arnaud Liefooghe, Sébastien Verel, Jin-Kao Hao. A hybrid metaheuristic for multiobjective unconstrained binary quadratic programming. Applied Soft Computing 6:10-19, 2014. (pdf, doi) Elsevier©. Yang Wang, Jin-Kao Hao, Fred Glover, Zhipeng Lü. A tabu search based memetic algorithm for the maximum diversity problem. Engineering Applications of Artificial Intelligence 27: 103-114, 2014. (pdf, doi) Elsevier©. Dominique Tessier, Sami Laroum, Béatrice Duval, Emma M Rath, W. Bret Church, Jin-Kao Hao. In silico evaluation of the influence of the translocon on partitioning of membrane segments. BMC Bioinformatics 15:156, (pdf, doi) 2014. Zhipeng Lü and Jin-Kao Hao. Adaptive memory-based local search for Max-SAT. Applied Soft Computing 16(8): 2063-2071, 2012. (pdf, doi) Elsevier©. Yang Wang, Zhipeng Lü, Fred Glover, Jin-Kao Hao. Path relinking for unconstrained binary quadratic programming. European Journal of Operational Research 223(3): 595-604, 2012. (pdf, doi) Elsevier©. Jean-Philippe Hamiez, Jin-Kao Hao, Fred Glover. A study of tabu search for coloring random 3-colorable graphs around phase transition. International Journal of Applied Metaheuristic Computing 1(4): 1-24, 2010. (pdf, doi), IGI Global©. Giglia Gomez Villouta, Jean-Philippe Hamiez, Jin-Kao Hao. A reinforced tabu search approch for 2D strip packing. International Journal of Applied Metaheuristic Computing 1(3): 20-36, 2010. (pdf, doi) IGI Global©. Adrien Goëffon, Jean-Michel Richer and Jin-Kao Hao, Progressive tree neighborhood applied to the Maximum Parsimony problem. IEEE/ACM Transactions on Computational Biology and Bioinformatics 5(1): 136-145, 2008. (pdf, doi) IEEE CSP©. Software is available HERE. José Crispin Hernandez Hernandez, Béatrice Duval and Jin-Kao Hao. A counting technique based on SVM-RFE for selection and classification of microarray data. Research in Computing Science 23: 99-107, 2006. Hakim Mabed, Alexandre Caminada and Jin-Kao Hao, Impact of tradeoff between blocking and interference on TDMA cell capacity planning. International Journal of Mobile Network Design and Innovation, (1)1:24-33, 2005. Inderscience Publishers©. Hervé Deleau, Jin-Kao Hao and Frédéric Saubion, Hybrid strategies for solving constraint satisfaction problems (in French). RAIRO Operational Research 39:87-103, 2005. (pdf) EDP Sciences©. Jean-Philippe Hamiez and Jin-Kao Hao, A linear-time algorithm to solve the sports league scheduling problem. Discrete Applied Mathematics 143: 252-265, 2004. (postscript) (pdf) Elsevier©. Vincent Barichard and Jin-Kao Hao, Genetic tabu search for the multi-objective knapsack problem. Journal of Tsinghua Science and Technology, 8(1): 8-13, 2003. (postscript) (pdf) Elsevier©. Nicolas Pech-Gourg, Jin-Kao Hao, Métaheuristiques pour l'optimisation de règles de classification de bouchons naturels en liege. Revue d'Intelligence Artificielle 16(6): 785-806, Hermes, 2002. Jin-Kao Hao, Philippe Galinier and Michel Habib, Metaheuristiques pour l'optimisation combinatoire et l'affectation sous contraintes. Revue d'Intelligence Artificielle 13(2): 283-324, 1999. (pdf) Hermes. Wen Sun, Jin-Kao Hao, Xiangjing Lai, Qinghua Wu. On feasible and infeasible search for equitable graph coloring. Proceedings of GECCO-2017, pages 369-376, July 15-19, 2017. Berlin, Germany. (pdf) ACM Press©. Yangming Zhou and Jin-Kao Hao. A fast heuristic algorithm for the critical node problem. (2-page abstract), GECCO-2017 Companon, pages 121-122, July 15-19, 2017. Berlin, Germany. (pdf) ACM Press©. Arnaud Liefooghe, Sébastien Verel, Luis Paquete, Jin-Kao Hao. Experiments on Local Search for bi-objective unconstrained binary quadratic programming.In A. Gaspar-Cunha et al. (Eds): EMO 2015, Lecture Notes in Computer Science 9018: 171-186, 2015. (pdf) Springer©. Brahim Chabane, Matthieu Basseur, Jin-Kao Hao. A practical case of the multiobjective knapsack problem: Design, modelling, tests and analysis. In L. Jourdan et al. (Eds. ): LION 2015, Lecture Notes in Computer Science 8994: 1–7, 2015. (Short paper) (pdf) Springer©. Inès Sghir, Jin-Kao Hao, Inès Ben Jaafar, Khaled Ghédira. A distributed hybrid algorithm for the graph coloring problem. Selected and revised paper from AE 2015, Lecture Notes in Computer Science 2016 (to appear). (pdf) Springer©. Una Benlic and Jin-Kao Hao. A study of adaptive diversification strategy for iterated local search. In M. Middendorf and C. Blum (Eds. ): EvoCOP 2013, Lecture Notes in Computer Science 7832: 61-72, 2013. (pdf) Springer©. François Schwarzentruber and Jin-Kao Hao. Drawing Euler diagrams from region connection calculus specifications with local search. In E. Fermé and J. Leite (Eds. ): JELIA 2014, Lecture Notes in Artificial Intelligence 8761: 582-590, 2014. 5system demonstration paper) (pdf) Springer©. (The drwaing software tool is available here). Inès Sghir, Jin-Kao Hao, Inès Ben Jaafar, Khaled Ghédira. A Recombination-based tabu search algorithm for the winner determination problem. In P. Legrand et al (Eds): Selected and revised paper from AE 2013, Lecture Notes in Computer Science 8752: 157-168, 2014. (pdf) Springer©. Rongqiang Zeng, Matthieu Basseur, Jin-Kao Hao. Hypervolume-Based Multi-Objective Path Relinking Algorithm. In P. C. Purshouse, P. J. Fleming and C. M. Fonseca (Eds. ): EMO 2013, Lecture Notes in Computer Science 7811: 185-199, 2013. (pdf) Springer©. Daniel Porumbel, Jin-Kao Hao, Pascale Kuntz. Spacing memetic algorithms. Proceedings of GECCO-2011, pages 1061-1068, July 12-16, 2011. Dublin, Ireland. Draft (pdf) ACM Press©. Zhipeng Lü, Fred Glover, Jin-Kao Hao. Neighborhood Combination for Unconstrained Binary Quadratic Problems. Metaheuristics International Conference (MIC-2009), extended version, 2012 (pdf). Zhipeng Lü and Jin-Kao Hao. A Critical Element-Guided Perturbation Strategy for Iterated Local Search. In C. Cotta and P. Cowling (Eds. ): EvoCOP 2009, Lecture Notes in Computer Science 5482: 1–12. 2009. (pdf) Springer©. Daniel Cosmin Porumbel, Jin-Kao Hao, Pascale Kuntz. Diversity Control and Multi-Parent Recombination for Evolutionary Graph Coloring Algorithms. In C. Cotta and P. Cowling (Eds. ): EvoCOP 2009 (Best Paper Nominee), Lecture Notes in Computer Science 5482: 121–132, 2009. (pdf) Springer©. Giglia Gomez Villouta, Jean-Philippe Hamiez, Jin-Kao Hao. A dedicated genetic algorithm for two-dimensional non-guillotine strip packing. MICAI 2007, Special Session, pages 264-274, 2007. (pdf) IEEE Press. Adrien Goëffon, Jean-Michel Richer and Jin-Kao Hao, A distance-based information preservation tree crossover for the maximum parsimony problem. PPSN-06, Lecture Notes in Computer Science 4193: 761-770, Springer-Verlag, 2006. (pdf) Springer©. Software is available HERE. Vincent Derrien, J.M. Richer and Jin-Kao Hao, Plasma, a progressive algorithm for multiple sequence alignment (in French). Proceedings of French Open Days on Biology, Computer Science and Mathematics (JOBIM-05), Lyon, July 6-8 2005. (pdf). To use our Plasma multiple alignment tool, click here. Jin-Kao Hao, Evelyne Lutton, Edmund Ronald, Marc Schoenauer and D. Snyers (Eds. ), Selected papers from the European Conference on Artificial Evolution (AE-97), Nimes, Oct. 1997, Lecture Notes in Computer Science 1363, ISBN 3-540-64169-6, Springer-Verlag, 349 pages, February 1998. Jin-Kao Hao, Jean-Jacques Chabrier. A partial evaluator and its application to constraint logic programming. Proc. of 3rd Intl. Conf. of Young Computer Scientists, pp2.23-2.28, Beijing, Chine, July 1993, Tsinghua University Press. Jin-Kao Hao, Jean-Jacques Chabrier, A modular architecture for constraint logic programming. Proc. of 19th ACM Computer Science Conference (ACM CSC-91), San Antonio, ACM Press, pp203-210, March 1991. Jin-Kao Hao, Metaheuristics for combinatorial optimization and constrained solving (in French). Habilitation thesis (Professorship Diploma), Univerisity of Montpellier II, January 1998. Jin-Kao Hao, A study of partial evaluation for constraint logic programming (in French). Ph.D thesis, Université de Franch-Comté (defended at the Université de Bourgogne), February 1991. Jin-Kao Hao, Rapid prototyping in Prolog. Master thesis, INSA de Lyon, 1997.